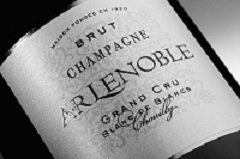 We are delighted to announce that Champagne AR Lenoble will be hosting our next wine dinner to be held at the Michelin-starred restaurant The Peat Inn, Fife on Friday 6 May 2016. Champagne AR Lenoble is a secret gem amongst Champagne houses. Long established and still independently run today, it is currently owned by brother & sister duo Antoine and Anne Malassagne (pictured right). Based in Damery in the Vallee de la Marne in Champagne, it was originally founded by Armand-Raphael Graser a native of Alsace (hence the initials AR). Antoine and Anne are Graser's great-grandchildren. They own 18 hectares of vineyards in Chouilly, Bisseuil and Damery. Their specialities are Chouilly Blanc de Blancs - and they have recently launched a single vineyard cuvee Les Aventures. Their style is deliciously ripe creamy easy-drinking wines. Christian Holthausen (pictured right), international director of AR Lenoble, will be in attendance at The Peat Inn on Friday 6 May to host a pre-dinner Champagne tasting of five cuvees. We are delighted to welcome back Christian who is a great friend and a charming host. 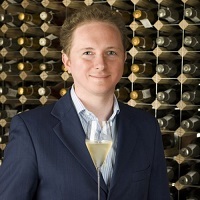 He has previously worked for Champagne Charles Heidsieck, as well as English wine estates Nyetimber and Gusbourne. Guests will be welcomed on arrival by a five cuvee tasting and an introduction to the Champagne AR Lenoble house by Christian. A delicious four course sit-down dinner will follow prepared by Michelin-starred chef/proprietor of the Peat Inn, Geoffrey Smeddle. 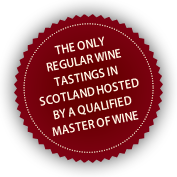 There will be a selection of further wines from around the world to match the menu chosen by Rose. 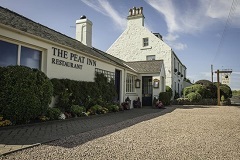 If you are interested in joining one of our Peat Inn dinners in the future, please contact us.